Jody Jansen joins CAP Services’ Board of Directors – CAP Services Inc.
Jody Jansen, Wild Rose, senior vice president of commercial banking at Hometown Bank in Wautoma, recently joined CAP Services’ Board of Directors. Jansen joins Lucy Rowley, Patrick King and Robert Wedell as Waushara County representatives on CAP’s 21-member board. As a board member, Jansen will helps guide the agency’s policy and strategy as it works toward its mission to transform people and communities to advance social and economic justice. Jansen served on CAP’s Business Development Loan Committee for two years prior to taking the seat on the board. Jansen has more than 26 years of business banking experience, working in a variety of communities in CAP’s central and eastern Wisconsin service area. He has been with Hometown Bank since October 2014. Jansen also serves on the Waushara County Economic Development Corporation Board. 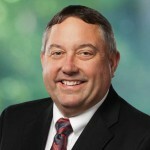 He has held past board and leadership positions with the Tri-County Economic Development Corporation Board – Green Lake, Marquette, and Waushara Counties, the Berlin Business Improvement District Board; the Waushara and Green Lake County Habitat for Humanity Board; the Green Lake County Bankers Association; Berlin Fox River Days and Wild Rose Watercross. CAP Services, Inc. is a private, nonprofit community action agency that has been advancing social and economic justice for low-income people in Marquette, Outagamie, Portage, Waupaca and Waushara counties since 1966. For more information visit capservices.org.